The day I purchased an Ego electronic cigarette kit which was the Ego 900 mah Passthrough Starter Kit, on sale at the time for $46. Kit came with case, USB charger and 2 CE4 clearomizers. Have since moved on to a few variable volt e cigs, like the heavy duty Vamo V2. I tired and sampled many ejuice flavors the first few months, from tobacco, to fruit flavors, to bakery/desert flavors. I lean towards the tobacco e juice flavors myself. Below are the flavors I enjoy the most. Remember, flavor and taste is subjective per individual. When it comes to tobacco flavored ejuices, it is hard to imulate or copy an exact flavor replacement to your old smoking cigarette. These below come very close, to satisfying my tobacco tastes. If your looking for some good ejuice tobacco flavors to try, give the flavors below a try. “Tobacco Blaze” – AWESOME tobacco eliquid! (Form;y called “Tobacco Haze”). Smooth medium tobacco ejuice flavor, light touch of maybe hazelnut with a great throat hit! Mom And Pops “Tobacco Blaze” has become my #1 vape! Excellent tobacco ejuice. It is the closest e liquid I have tried that reminds me of real tobacco, cigarette flavor. After vaping few hours with “Tobacco Haze” you’ll be looking for the old ashtray to flip your ecig….. :). Very popular ejuice flavor around the many ecig forums to. “Buds Blend” – Another AWESOME tobacco eliquid! Very similar to Tobacco Haze, nice sweetness, almost a cocoa flavor with a tobacco under tone, a twist can’t exactly describe on the exhale. Truly awesome stuff! Tie for my #1 vape with “Tobacco Haze”. “Buds Blend” also comes in menthol. “Buds Ordinance Bomb” – Similar to “Buds Blend ejuice” with an extra kick. “Tobacco Blaze” – “Buds Blend” and “Buds Ordinance Bomb” tobacco flavored eliquids have been my regular vapes now from Mom And Pops Vapor Shop for a few months now. My top 2 favorite eliquids. Check the reviews on Mom & Pops Vapor Shop on these 2 eliquids. Give them a try, I’m sure they will be part of your ejuice flavors to. Excellent service from Mom And Pops Vapor Shop. They are very quick, and helpful to respond to any questions via contact page or email. Quick shipping from Mom And Pops Vapor Shop, my orders arrive in 3 Days here! Recently tried a few flavors from this Crystal Canyon Vapes out in Arizona…. Crystal Canyon Vapes eliquid bottles (15, 30 and 60ml) are high quality glass bottles with eye-dropper. Nice looking bottles! Packaged very well in box with bubble wrap and packing peanuts. Shippping and delivery has been very quick. There 5ml bottles are plastic. My liquids are pre-mixed with 18mg of nicotine. I smoked 1-2 packs a day of the tobacco cig, 18mg did me fine. 24mg of nicotine was to strong, gave me a bad coffee buzz, and a headache at the end of day. 18mg of nicotine is perfect for me. If I had to pick my “Top 2 Flavors”… Tobacco Blazed and Buds Blend from Mom And Pops Vapor Shop. If you come across an on line vendor by the name of “The Vapor Room”, stay away from them. I DO NOT RECOMMEND “THE VAPOR ROOM”! Had a bad 1st time order experience with these folks. Bottles were mislabeled, wrong size bottles as ordered. “The Vapor Room” took over a week to respond, offered nothing to correct the problem or credit and deleted my asking for help off there Facebook page. Facebook was the only way I received any type response. And there response was “sorry for the error, problem has been corrected”. Maybe on there end, but not I my end here. Meanwhile I’m left with the wrong ejuices as ordered, wrong size bottles, and mis-labeled bottles. E-cigarette is the best alternative of traditional tobacco made cigarettes. 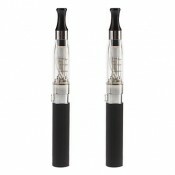 All e-cigarettes equipment and ingredients are not good as well as not good for health. http://www.savageeliquid.com is producing various quality and reliable cigarettes flavor that are safe for all level of people.